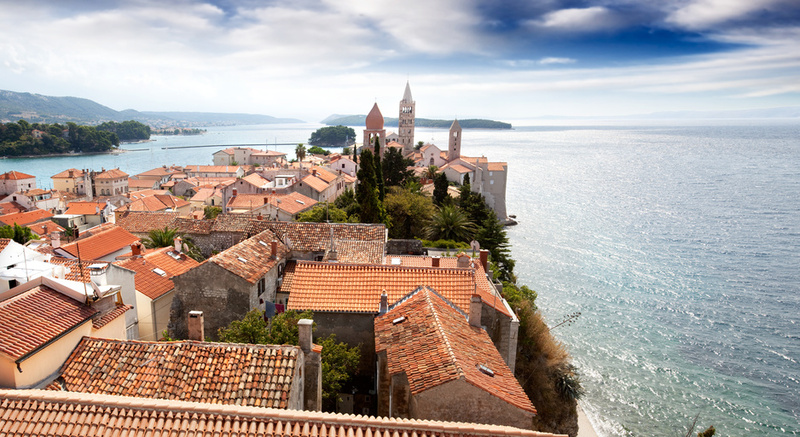 The charming old town and the blue sea of Arbe (Rab in Croatian) make it the right destination for those who want to enjoy a relaxing holiday by the sea. The town is located on the island of the same name and is reachable only by boat from the port of Jablanac. The 22 kilometers coastline surrounding the island hosts many worth seeing- and therefore worth photographing – bays and coves. On the island there are some of Croatia’s few sandy beaches, formed through a sandstone surface that covers the rocks below. This feature has made ​​this area particularly attractive to tourists who flock here every summer, while the mild Mediterranean climate is attractive throughout the year. The town has an interesting historic center characterized by four bell towers which rises up to look at the sea, offering photographers lots of good shots of one of the best views in the world. In addition to the city of Arbe on the island there are seven other interesting towns: Lopar, Barbat, Banjol, Palit, Kampor, Mundanije and Supetarska Draga. Taking photos in this little paradise is almost a requirement, but the glare of the sun on the sea can cause some problems. Here are some helpful tips to help you take some unforgettable pictures. Wide-angle lenses for great views. If you wish to travel far and fast, travel light… For this reason b-grip bh will be of great help, preventing you to bring bulky bags and having the camera strap hanging around your neck in hot days.